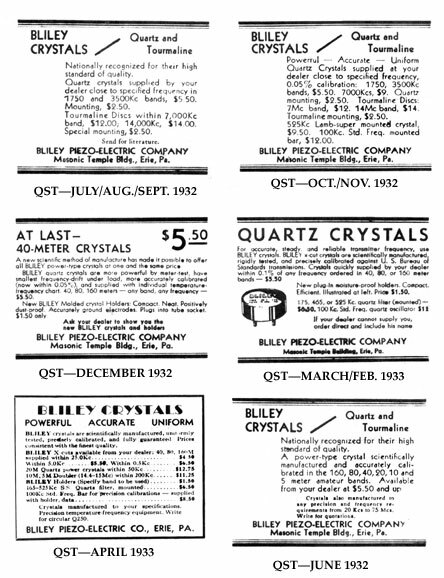 This is a collection of ads as selected by the staff of Bliley's for the some unknown reason and saved in the company archives. The original was a photographic copy. 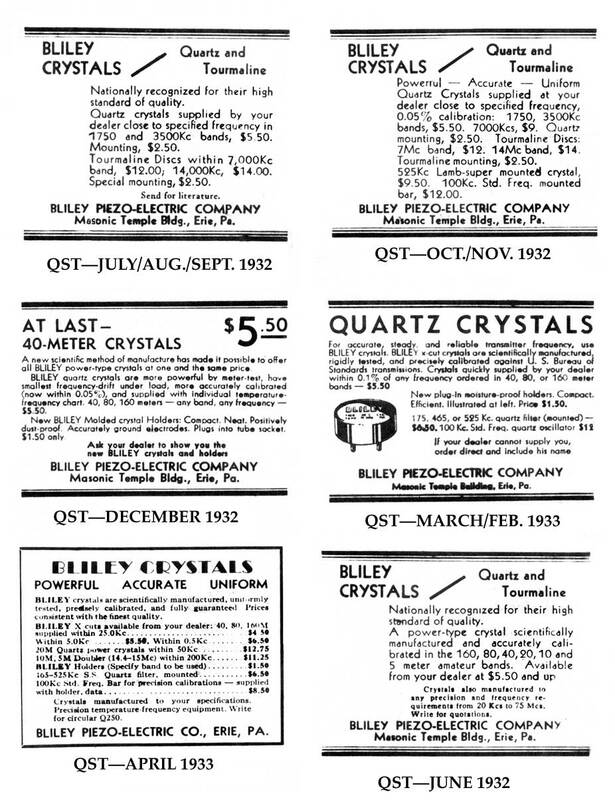 These are believed to include the first real advertisement in July 1932. 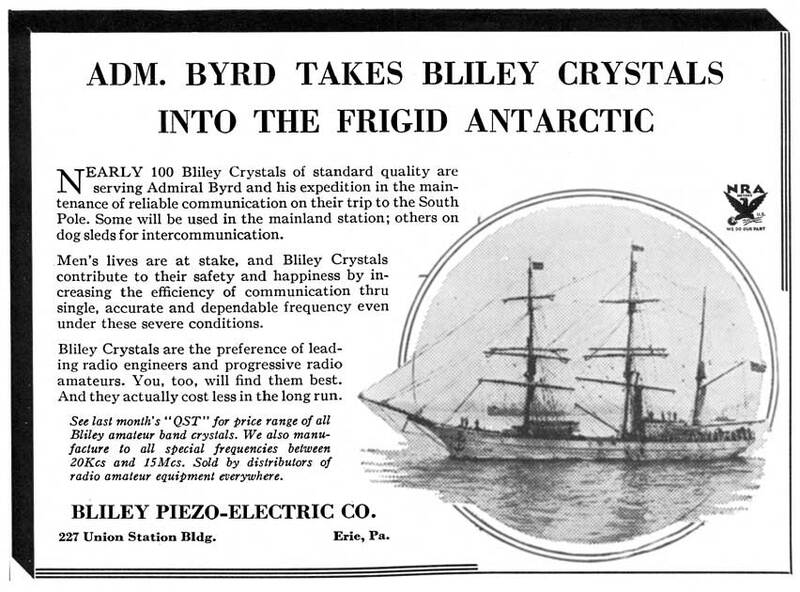 F. Dawson Bliley, W8GU, was asked to go on an Polar expedition with Byrd as a radio operator, but Dawson turned him down. 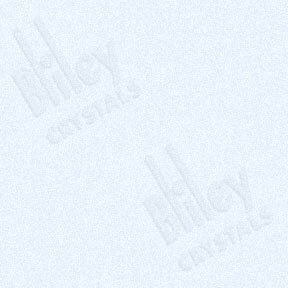 However, Dawson offered to stock him with Bliley crystals in exchange for an endorsement. This is the ad which followed. Reference card for hams to aid them in identifying the frequency bands that they could operate on and as an aid in determining which crystal frequencies could be multiplied into a higher band. 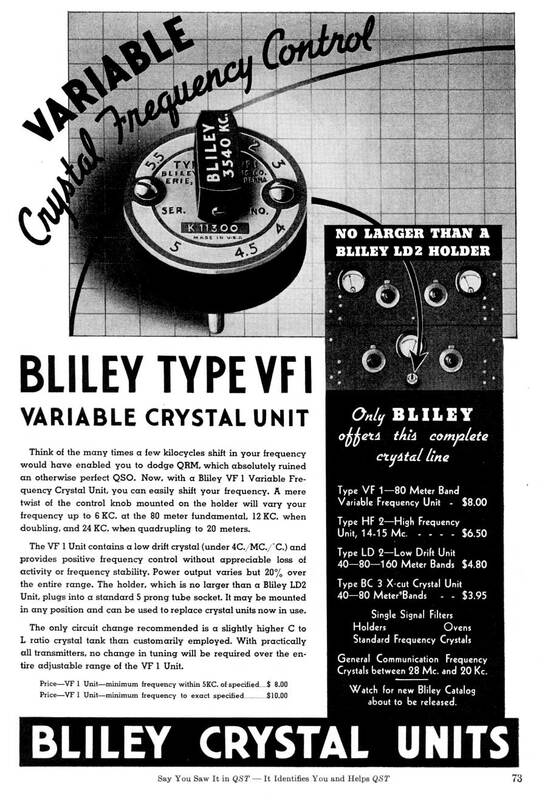 With the typical ham only having five crystals, selecting the right primary frequency was very important to maximize their use. 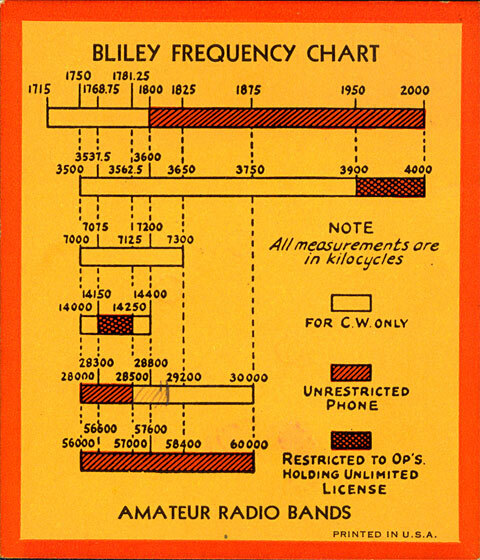 Size: Approximately 3" x 3-1/2"
The 1930s were the prime years for sales to radio amateur operators. 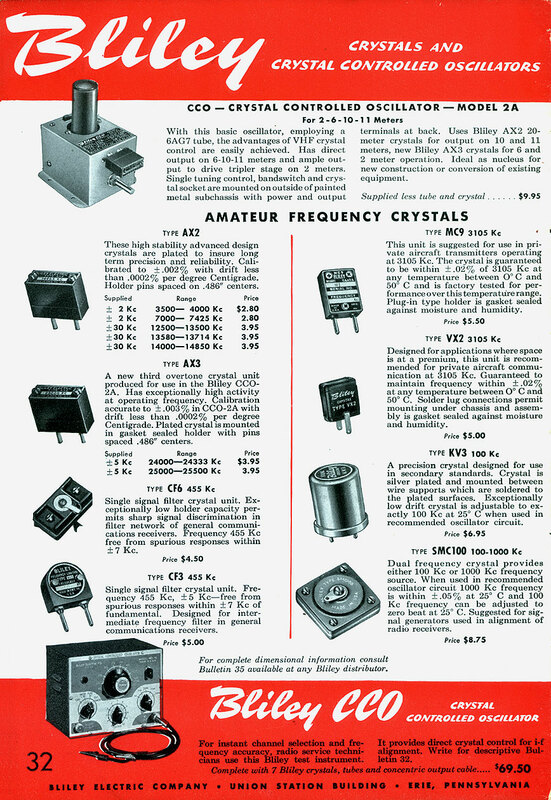 A considerable effort went into attending conventions of radio amateurs to introduce and promote the company's product line. 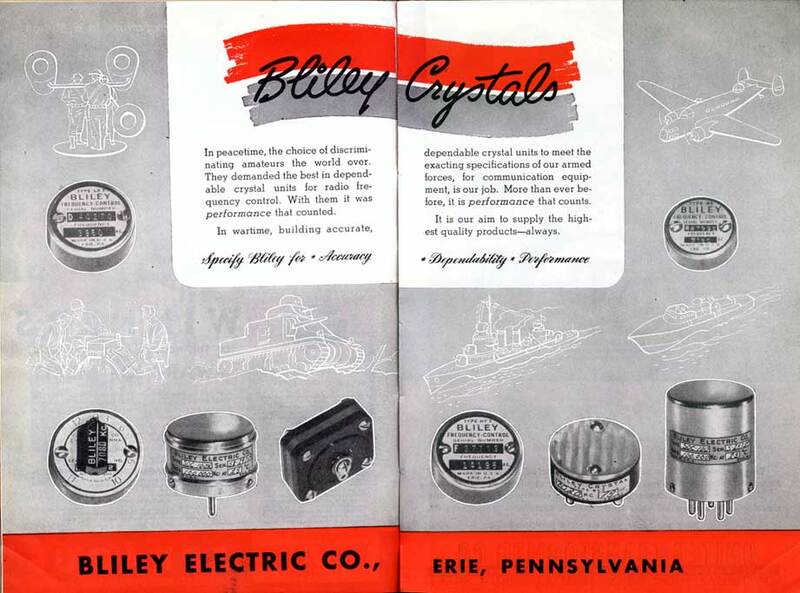 Many of the convention programs carried advertisements of various vendors and eagerly solicited highly desired door prizes from companies like Bliley. 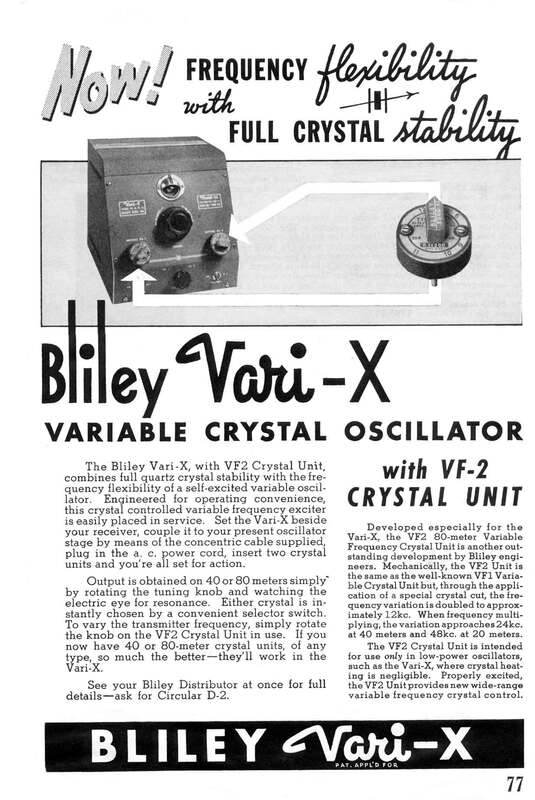 F. Dawson Bliley, W3GV, with two Vari-X units on his desk. Photo taken in his radio shack on the third floor of his home in Erie. PA.
Circa 1947. Purpose of photo unknown. 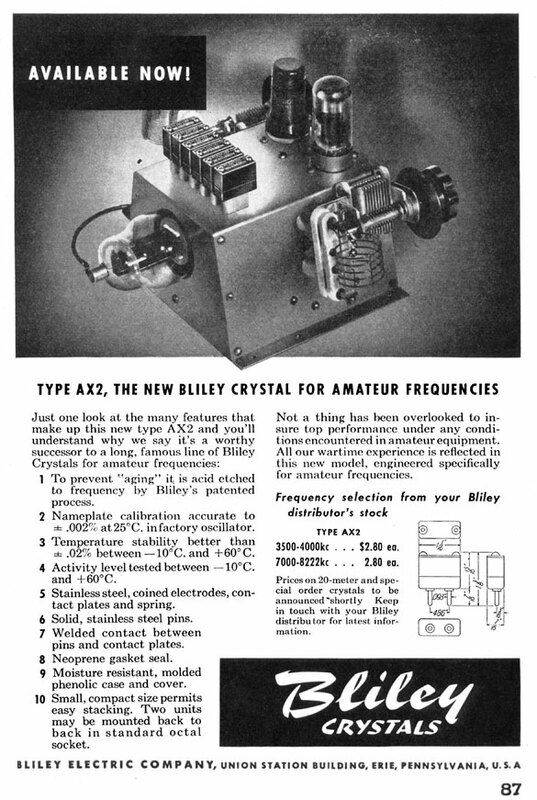 This book is published annually for "hams" (radio amateurs) by the American Radio Relay League. This annual publication has been the single most popular reference book for radio amateurs since its inception in 1921. 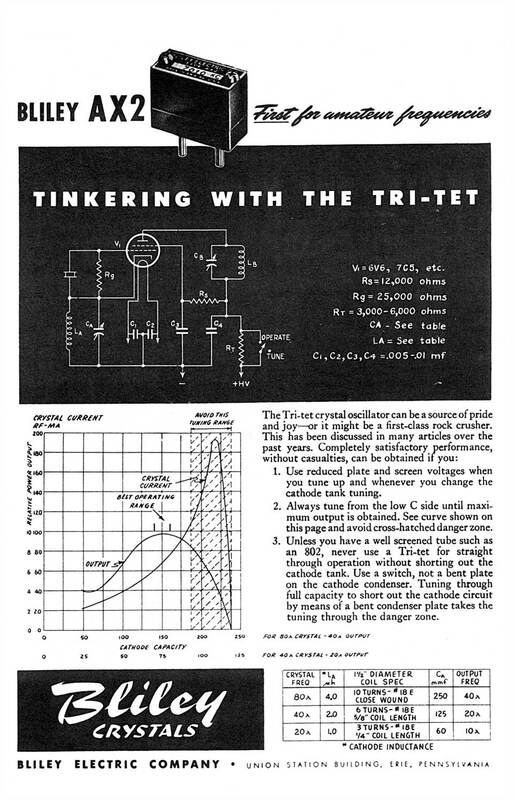 Even though the primary audience was the amateur radio operator and builder, most radio and electrical engineers considered "The Handbook" one of their best general reference tools. 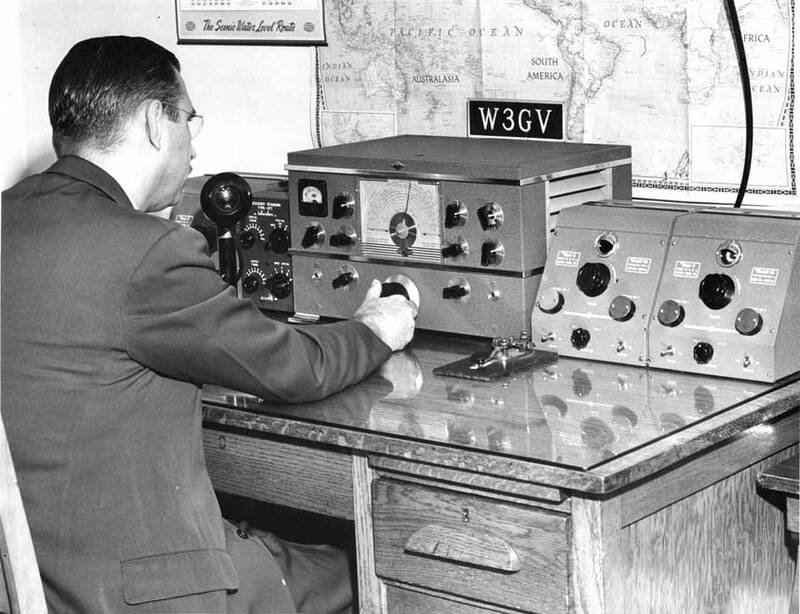 Normal amateur radio activity was suspended during World War II. 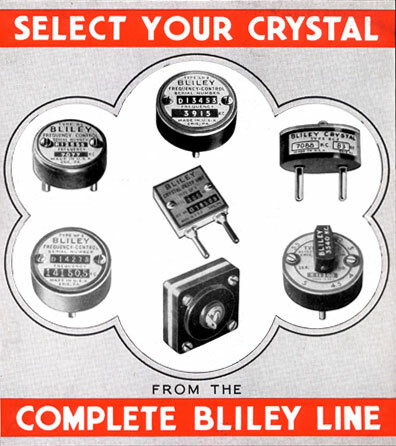 Advertising was pretty much limited to maintaining brand recognition in the hope that the hams, many of whom were engineering professionals, would again buy the Bliley products after the end of the war.